While we work to meet all of your commercial lighting needs, we will customize our services based on your Tampa, FL company’s requirements, timetables, and budget constraints. Regardless of whether you run your business out of an industrial, retail, or commercial office space, selecting the right partner for all of your commercial lighting needs can make a huge difference in your building’s sustainability and savings. If you’re looking for a commercial lighting partner in the Tampa, Florida area who can help you with all of your business’ lighting repair, maintenance, and installation needs, turn to us at 5 Star Electrical LLC. Lighting maintenance, upgrades, and retrofits can be complicated work, especially for large companies that operate many different locations. This makes it important for you to select a partner who can effectively handle all of your business’ lighting needs. At 5 Star Electrical LLC, our outstanding solution development, project management capabilities, and standardized processes are the right option if you are looking for an electrical partner who can help you get the most out of your company’s lighting systems. We also recognize that your company’s commercial lighting needs are unique to your specific location. 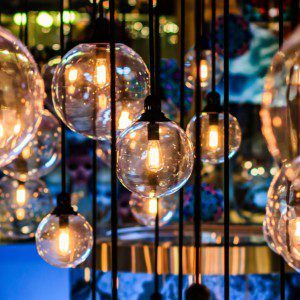 For this reason, while we work to meet all of your lighting needs, we will customize our services based on your company’s requirements, timetables, and budget constraints. Whether you want to install new lights in your parking lot for enhanced patron safety or want to replace the old, power-hungry lights in your building with more efficient options, we are here to help. 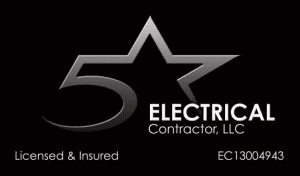 Call us at 5 Star Electrical LLC to discover how our team can meet all of your lighting and electrical service needs.